This is a die-cut Greyhound Ticket Office porcelain sign. This particular Greyhound Ticket Office sign is predominantly navy with white print. 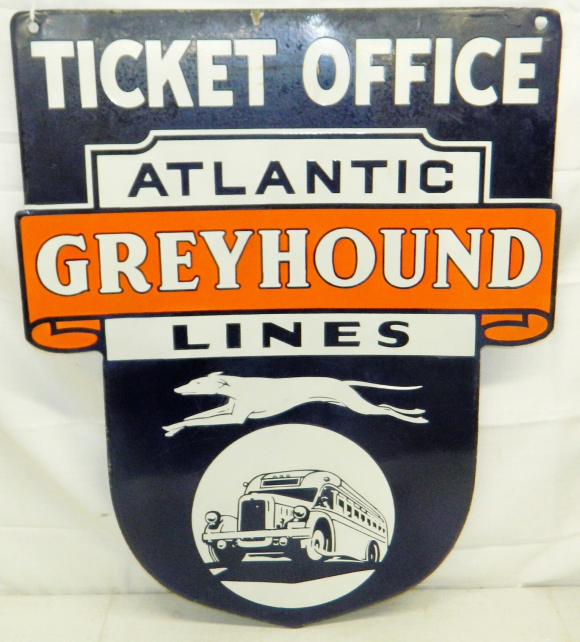 It reads, “Greyhound Atlantic Lines Ticket Office” and features an orange banner in the center in addition to a white running dog and a bus at the bottom.